Want access to ALL of the Daycare Spaces and ideas printable activities? Join the Pre-K Printables Club! Going on a picnic in the Summer is such a fun activity! Inside each of my activity packs you will find an assortment of easy to assemble printable activities. You can easily turn these activities into a variety of hands on learning centers. Use them to create tot trays or file folder games. 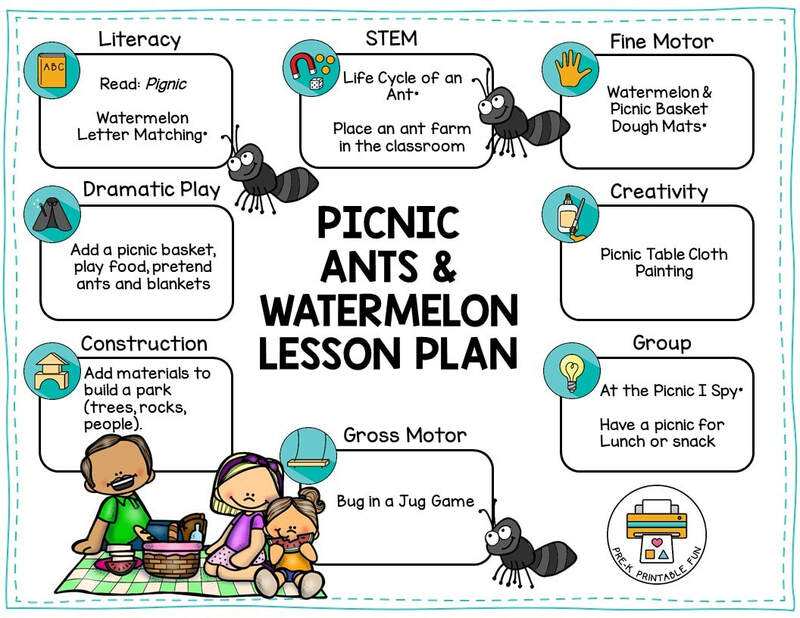 Looking for some more ideas for you Picnic, Ants & Watermelon theme? Be sure to check out my FREE camping Themed Lesson planning page here! 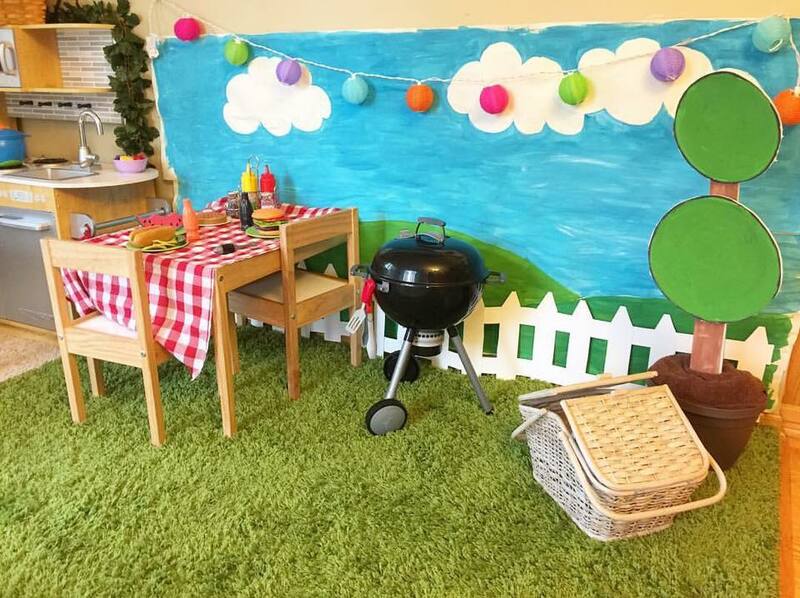 This adorable picnic area was created by community member Cheryl V.